Recce is an iPhone app which locates you on a map and shows you various POIs (points of interest) on demand such as local coffee shops. 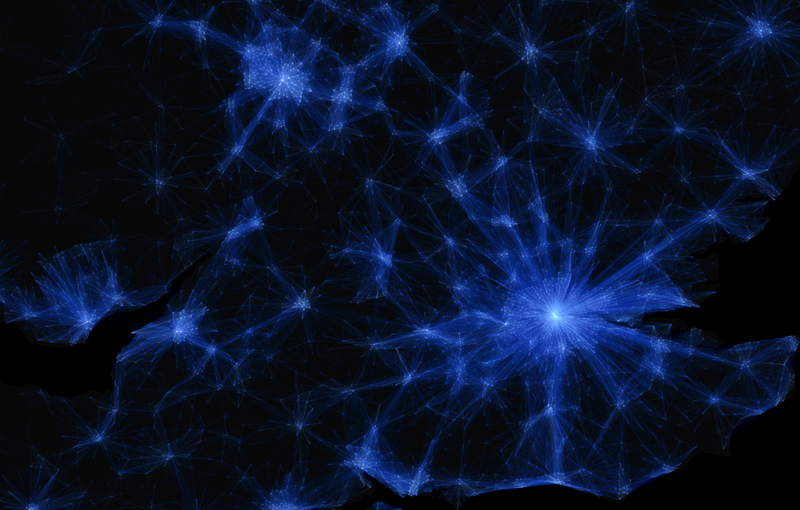 Nothing particularly new – but it’s the map which makes the app come to life here. Instead of your standard 2D overhead map, or a muddy if realistic Google Earth fly-through, this presents central London in a cartoon-like 3D environment, with a fixed 45-degree “birds-eye” view, and intuitive controls – just drag to fly somewhere and pinch to zoom in/out. What I really like is the little cars moving around the streets, trains moving along the railway lines and in and out of the stations, and ships on the Thames. 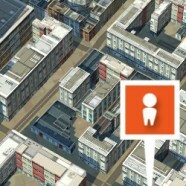 Buildings are shown in 3D with generally generic textures, except for major buildings which have a dedicated texture and shape, such as tourist attractions, skyscrapers and stations. Building heights appear to be correctly represented, with the appropriate number of floors being shown even on the generically-textured blocks. Particular care has been taken on adding in the Olympic venues – below left is a zoomed in view of the Olympic Park. 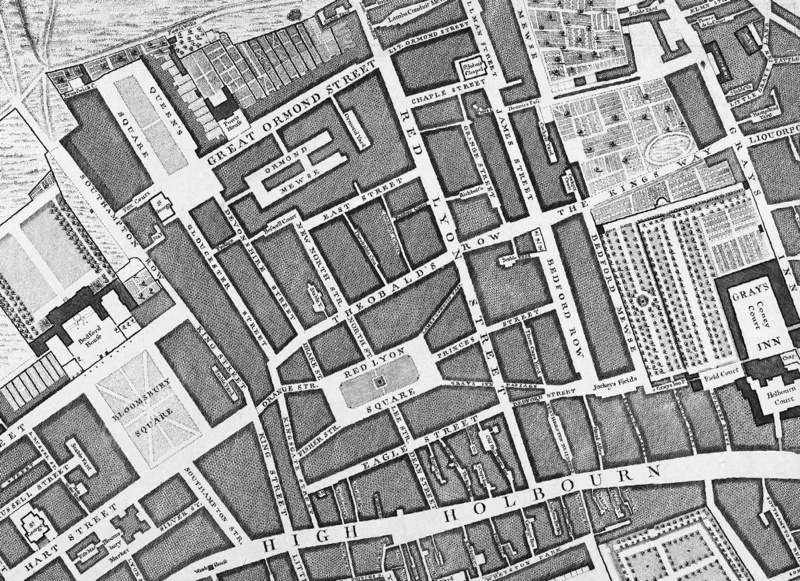 The map covers most of Zone 1 and 2 of London. it’s not perfect – the DLR is missing for instance, and the road network is also often not joined up correctly, meaning it is potentially tricky to use as a navigation app (as opposed to a POI finder). A welcome addition is the location of bike hire points. By default, the bike hire point closest to the middle of the map “view” is higlighted, with an empty/full indicator displayed. Tapping on any other bike hire point will reveal its status. Moving around the map feels not unlike playing the classic Sim City 4 computer game. This fun element of using the map means it does stand out from the ground and so it is more likely to be remembered and used for its primary purpose – locating nearby POIs – than the myriad of other simliar apps out there. Screenshots of Recce from my iPhone 4S. Thanks to Stephen James Gray for letting me know about it. Recce is currently a free 125MB download on Apple’s App Store, for iPhone/iPad. Oliver – thanks for the nice overview of our app Recce. We are striving to make something that does stand out, so we are happy you noticed. Of course, we are just getting started, so lots more fun *and* info to come! Hi Bart – who is best to send information on interesting new openings coming up? The article states the DLR is missing, however the Tower Gateway line out towards the Olympic Park is present. 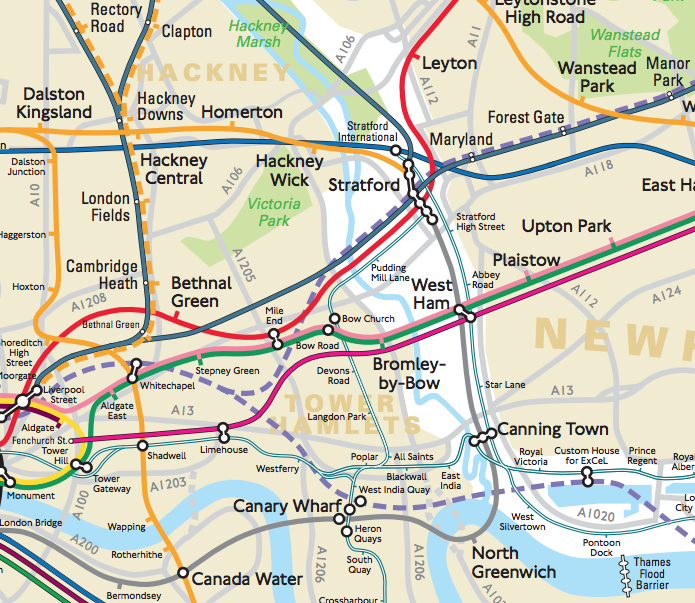 However the London Overground is missing. Any chance of this coming to Android?